With Apple's aggressive expansion into geospatial data has come a new focus on research into foundational sensors and systems related to the field, including a newly granted patent that covers an in-house LiDAR device for more accurately capturing three-dimensional scenes. The patent —with the somewhat impenetrable moniker "3D depth point cloud from timing flight of 2D scanned light beam pulses" —lays out the hardware and functional specifications of a new LiDAR sensor. 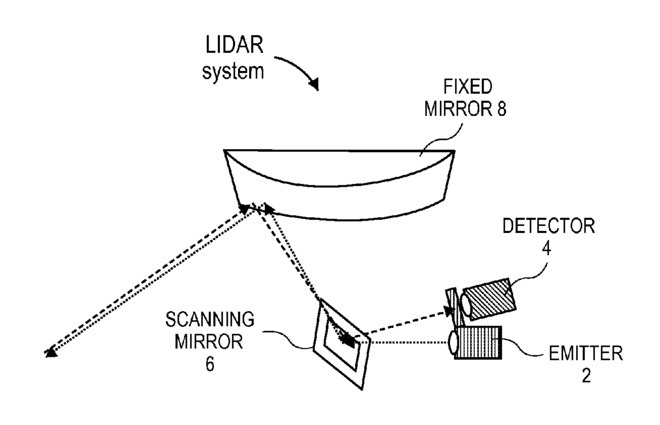 Apple's design unsurprisingly includes a fixed mirror, a scanning mirror, a photodetector and a laser emitter. Apple chose to pursue its own LiDAR technology because current sensing techniques could suffer from "excessive power consumption, limited x-y resolution, limited depth resolution or accuracy, limited frame rate, and long product development cycles," according to the patent. The company's new system would alleviate some or all of these issues. Accuracy in three-dimensional spatial data is especially important to Apple as the company ramps up its own in-house mapping efforts. In addition to mass consumer products like the Apple Maps app, this kind of hyper-accurate mapping data is vital to the development of self-driving vehicles. Apple has long been rumored to be working on an autonomous "Apple Car," for which the new invention could be a good fit. If Apple does adopt its own in-house LiDAR technology, it would not be the first Silicon Valley to do so. 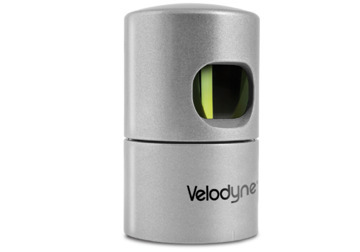 Late last year, Google revealed that it had developed its own solid state LiDAR system that could be made very cheaply —less than $1,000 each compared to commercial options that can cost as much as $75,000 —even in small quantities. Apple credits Scott T. Smith, Matthew E. Last, and Edward A. Valko with the invention of U.S. Patent No. 9,285,477.